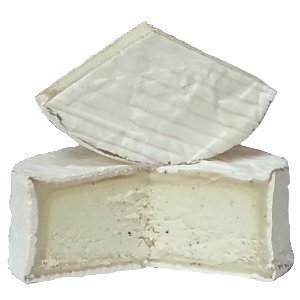 Truffle Tremor is another delicious and beautiful cheese from Cypress Grove Cheese and is a combination of the classic flavor of truffle and the velvety perfection of ripened goat milk cheese. 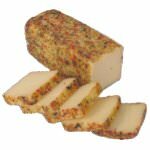 The flavor of this gourmet cheese is earthy, elegant, and sophisticated, it's sure to make even the most distinguished taste buds shake. Once the cheese is cut the layer immediately under the rind starts oozing very quickly, inviting you to devour it. 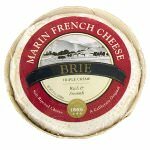 Truffle Tremor was awarded a first place in the Soft Ripened Cheese with Flavor Added Category at the American Cheese Society Competition of 2009 and a 2nd place in 2010. The Truffle Tremor we have are small individual cheese wheels of approximately 14-16 ounces, very elegant on a cheese board. Ingredients: Pasteurized cultured goat milk, salt, black truffle (Tuber aestivum), enzymes.